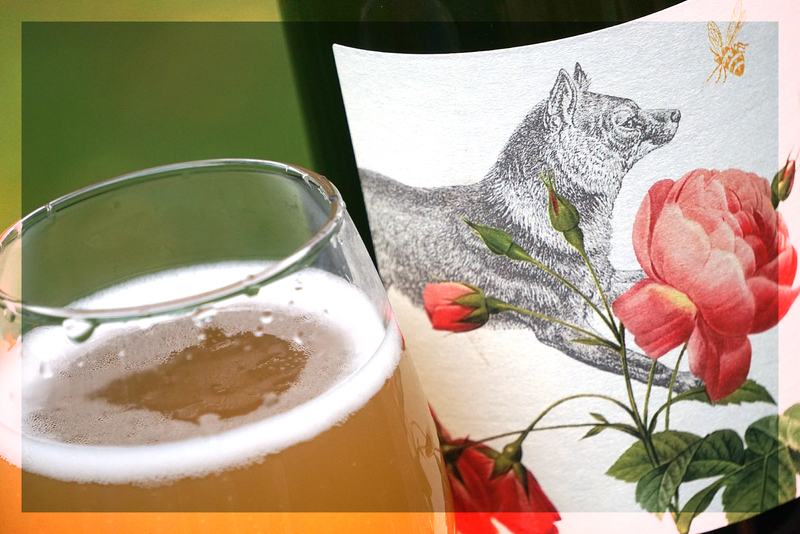 Every time we get a message in a bottle from our dear friends at La garagista, we are thrilled to be able share the fruits of their labor with you. 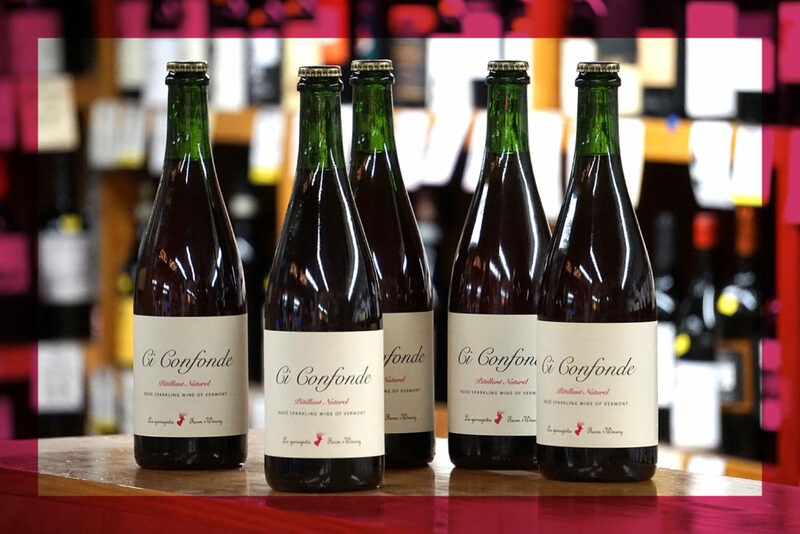 Very limited amount of this highly sought after Ci Confonde Petillant Naturel Rosé exists so get this enchanting, enthralling, and ever-so-delicious expression of Vermont terrior while you can. (Chi•con•fond•ay) It confounds us. Surprises. Dumbfounds. Slays. Bedazzles. Staggers. Shakes. 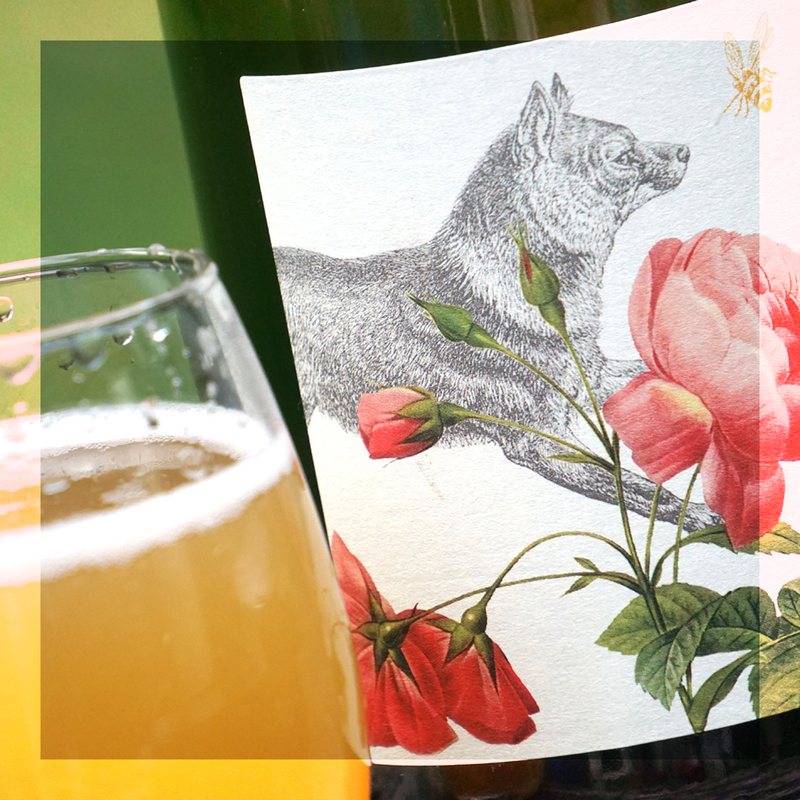 We’re feeling a bit bedazzled by petillant naturel, an old-style first fermentation in bottle. 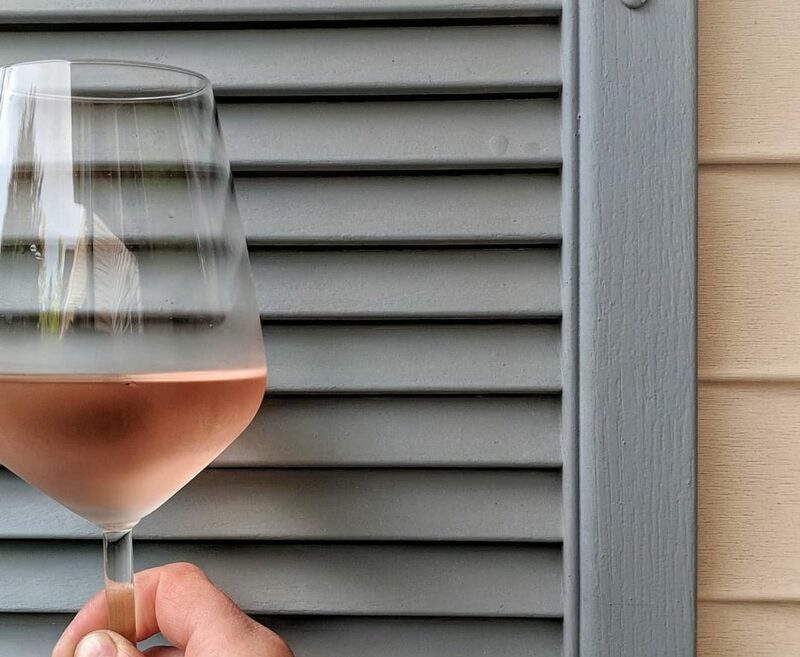 Our Ci Confonde Rosé is bottled shortly after harvest, and left to finish its frothy alchemy under the cap, creating a fine bead of pearly effervescence. Hand-harvested and unfiltered, this alpine sparkling hails from our vineyards in the northern climate of Vermont. We are most delighted to announce the arrival of a new addition to our natural beverage family – La garagista The Flesh and The Bone! 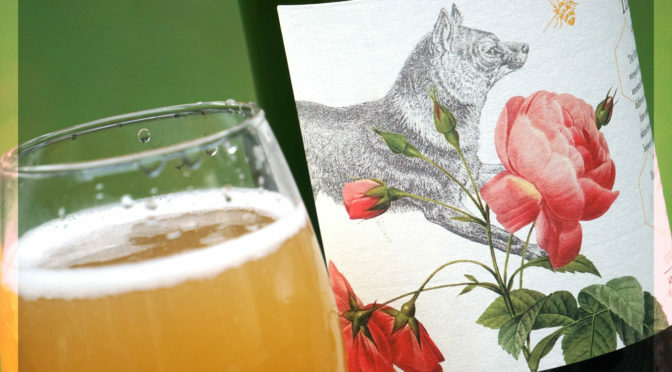 This hazy, effervescent, no sulfites added, 100% delicious and natural cider is a stunning treat, hand picked and lovingly crafted by our friends Deidre Heekin and Caleb Barber. The Flesh and Bone is a lees-aged flaxen sparkling cider grown from our vineyard in a green and gold valley of rolling hills that faces the setting sun. 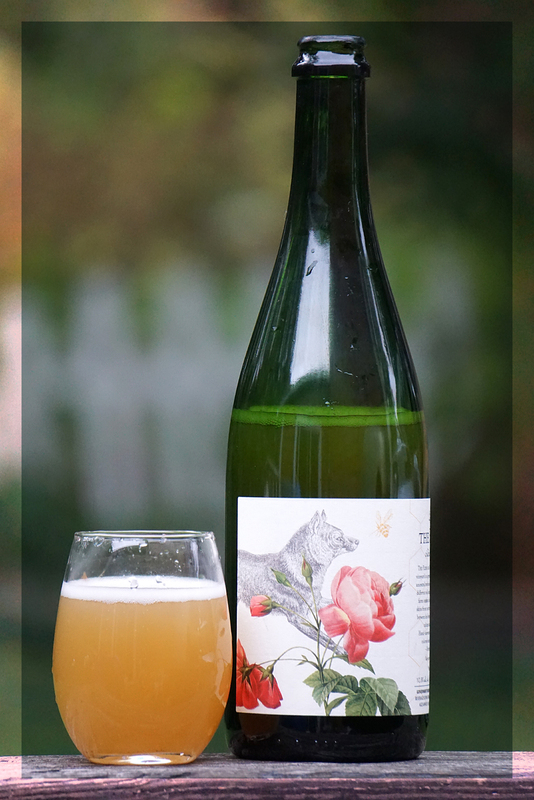 It is an ancestral methode second fermentation in bottle seeded with cider made from many different and wild cultivated varieties of garnet-kissed apples grown in our home farm orchard, an homage to an old-fashioned style of cider fermented on wine skins called vin ëd pom. 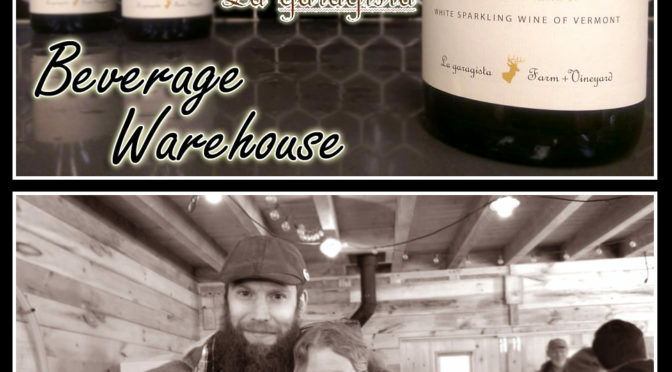 This sparkling cider is a true marriage between the diversity of fruit, our geology, geography, weather, history and social culture, and the hand of the vignerone(ne), our unique terroir. Hand-harvested and unfiltered, fermented on glimmering skins, this blonde-colored wine bubbles like a thousand starts seen in the evening gloaming. 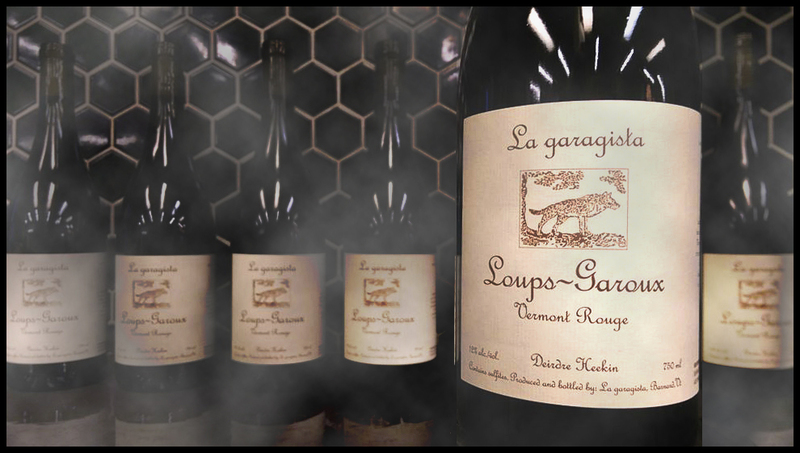 We are most delighted to announce the arrival of the 2016 La garagista Loups~Garoux. 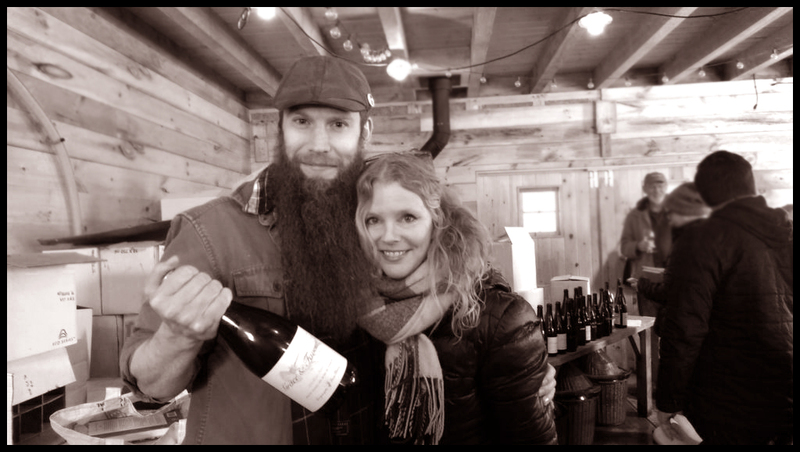 A stunning Vermont red wine by our friends Deirde Heekin & crew over in Barnard we again are able to loving share with you. 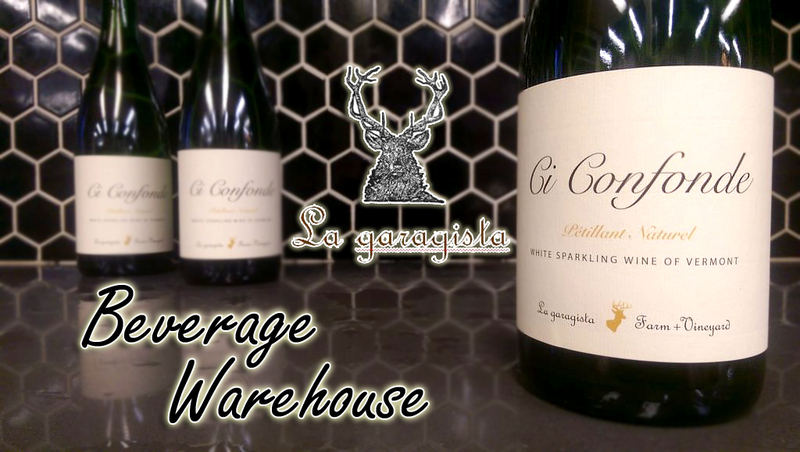 La garagista: n. one who makes wine in a garage; one who works in a garage; one who uses all parts of a garage. Loups~Garoux is the French name for mythical wolf creatures that are not cursed, but blessed. One is born a Loup-Garou and can turn at will. They are elegant, dark wolves to behold and remind us of other mythical creatures like those in the legends of the Black Wolves of the Chateauguay, the wild alpine terrain that defines our homefarm and vineyard landscapes. Loups~Garoux speak of the woodland and are mercurial in nature. Hand-harvested and unfiltered, this red wine hails from our alpine vineyard in Vermont on the edge of a lake, grown among wild purple aster and white fleabane. Questo vino e vivo! ~ This wine is alive! We most delighted to announce TWO La gargagista wine releases today! Get yours while you can because in addition to being uber scrumptious… they are of limited supply and high demand. 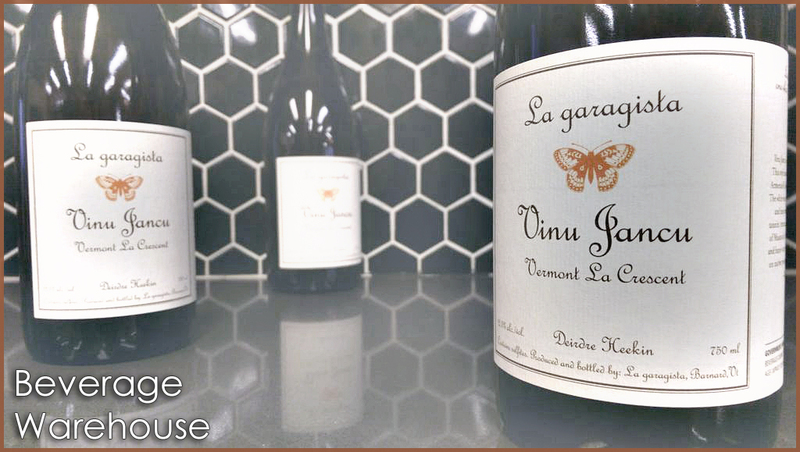 It is our great pleasure to announce the latest release of craveable wine from La garagista… Vinu Jancu. Vinu Jancu is an old Sicilian name for white wines made in an orange wine manner. This style has a deep nobility with a long history in the Eurasian production areas of Armenia & Georgia, but also found in Italy, Sicily, and other alpine areas of Europe. The white wine grapes are treated like red grapes: the juice ferments on the grape skins and remain sur lie long afterward, taking on more color (hence the orange), tannin, texture, and aromatics. 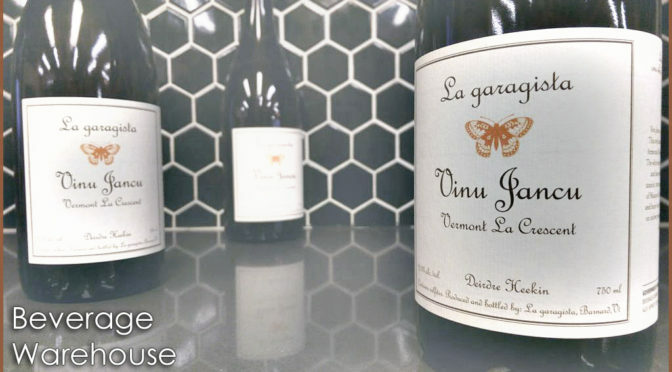 This Vinu Jancu is made from La Crescent, a descendant of Muscat de Hambourg, and grown on the hills and valleys of Vermont. Hand-picked and hand-sorted, this honest, unfiltered wine was crushed traditionally and fermented on native yeast at our cantina, and remained sur lie for the winter in glass demijohns. Art of the vine… passion of the heart… delight of the senses… La garagista wines continue to delight us and our friends every time we are blessed with them. 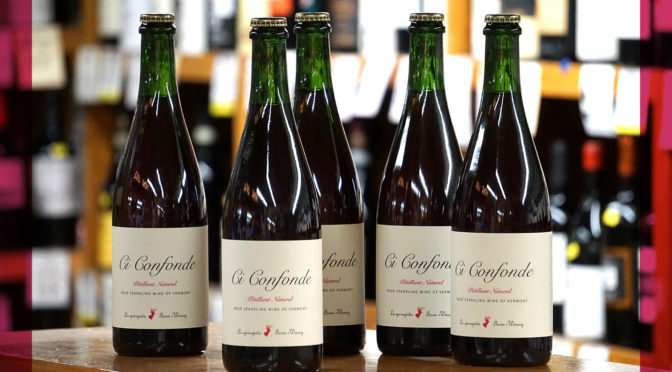 We are jubilant with the latest La garagist vin to grace our shelves – Ci Confonde. This sparkling gem will only be around for a short time, so get yours while you can! (Chi•con•fond•ay) It confounds us. Surprises. Dumbfounds. Slays. Bedazzles. Staggers. Shakes. 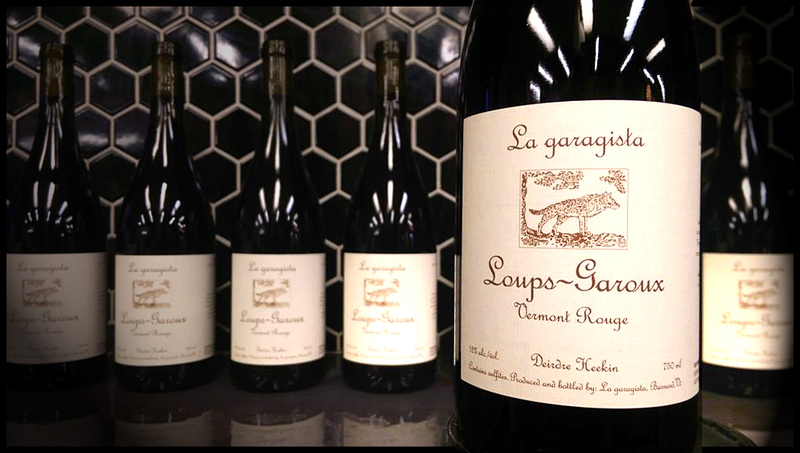 We’re feeling a bit bedazzled by petillant naturel, an old-style first fermentation in bottle. 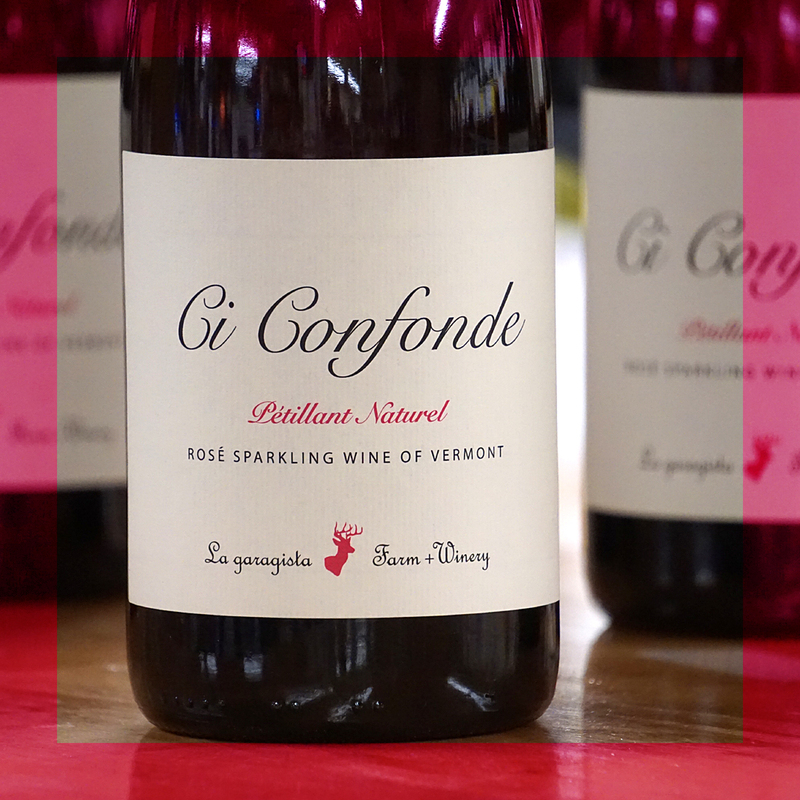 Our Ci Confonde White is bottles shortly after harvest, and left to finish its frothy alchemy under the cap, creating a fine bead of pearly effervescence. 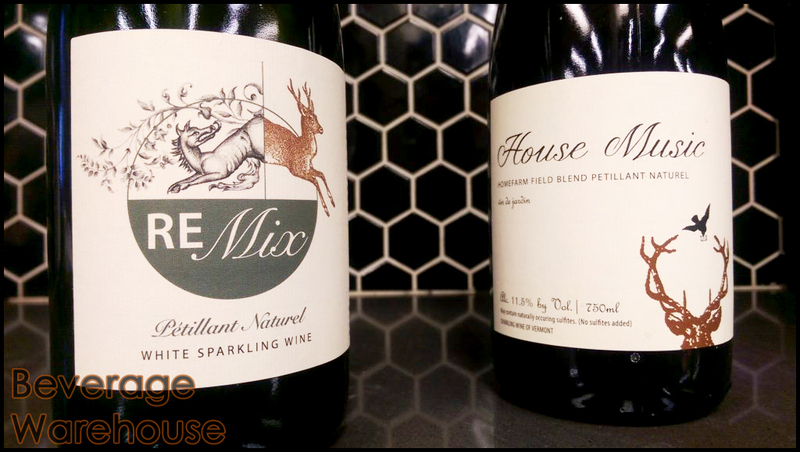 Hand-harvested and unfiltered, this alpine sparkling hails from our vineyards in the northern climate of Vermont.